Artensoft Tilt Shift Generator 1.2 released! 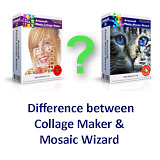 Artensoft Photo Mosaic Wizard 1.8 released! If you have already purchased license(s) for our products, please include personal registration key. We quickly respond to all questions submitted to this e-mail in the order they are received. If you are not yet a Artensoft customer, please also use this e-mail. Please give complete description of the problem in your request. Also you can contact Artensoft Support Team using the from below.